On July 6th, onbikes teamed up with AXA Advisors to build and deliver a fleet of new bicycles to the Starting Right Now’s Pinellas facility. Starting Right Now is an organization that ends homelessness for youth by providing one-on-one mentoring, a stable home, assisting with employment opportunities, teaching financial literacy/life skills and promoting educational achievement. If your company is interested in hosting a corporate bike build, click here for more information. A young boy who is living with spina bifida received a big surprise from Tampa Police officers and community donors. 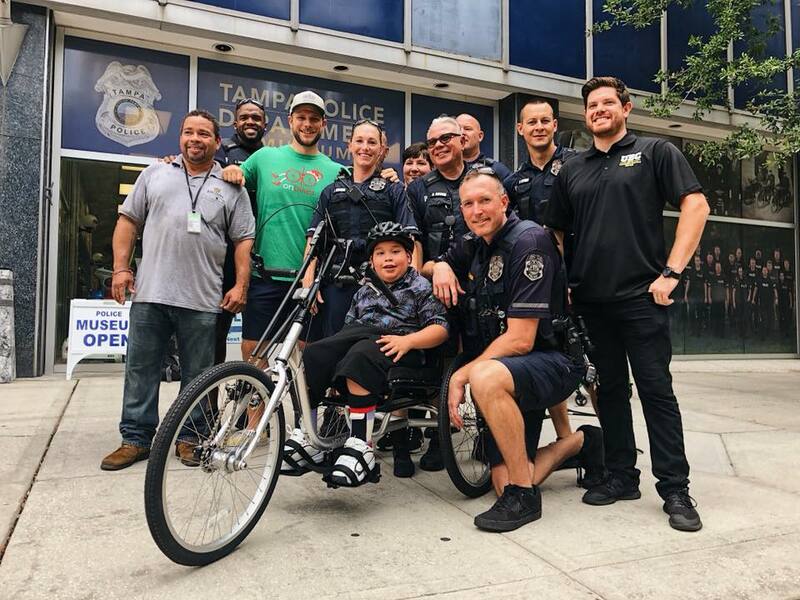 Alexi, 10, thought he was going to a doctor’s appointment on June 1, but instead, his family brought him to the Tampa Police Department’s downtown headquarters where he received his first bike. The adaptive tricycle that he received is designed to accommodate individuals with disabilities such as spina bifida. Alexi exclaimed “awesome” with a huge burst of excitement when he opened his eyes and saw the customized bike in front of him. Officers assigned to the department’s Bicycle Unit set up a simple course on Franklin Street, where Alexi was able to test out his new set of wheels. Representatives from the onbikes organization, University Bicycle Center, and Spectra Healthcare Management teamed up to help purchase and assemble the $1500 Sun Seeker trike. They stood next to Alexi’s family members to cheer him on as he cruised through the course. 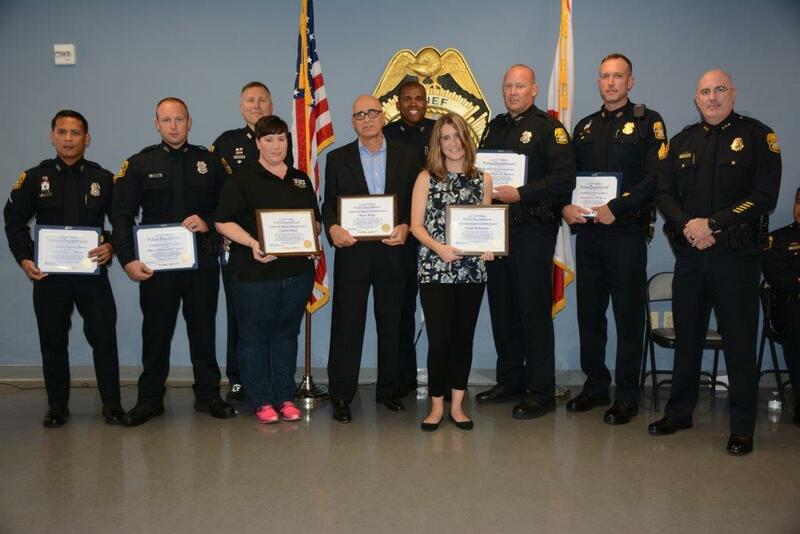 On June 21st, the Tampa Police Department presented onbikes with a Citizen’s Appreciation Award for their part in helping to bring Alexi his first bike. to build a unique new float for Gasparilla 2018. onbikes is a non-profit organization that builds and delivers new bicycles and helmets to at-risk and foster children in the Tampa Bay area. TAMPA, Fla. (WFLA) – Each year, Ye Mystic Krewe of Gasparilla works to bring unique and diverse groups into the festivities. This year, a new organization joins the Parade of Pirates. On Bikes is a 501(c)3 with a mission of donating new bicycles to at risk children. Jeff Lenderman is on the board of On Bikes and joined after a charity bike ride. “I thought to myself, ‘this is an unbelievable movement.’ This whole thing where there is a philosophy of giving, not taking, being part of the community and giving bikes that our at risk youth and kids that are in foster care,” said Lenderman. TAMPA, Fla. (WFLA) – The 7th Annual Onbikes Winter Wonder Ride will bring Christmas to Bayshore Boulevard. As an official parade, the street will be shut down as thousands of people dressed as Santas, elves, reindeer, gingerbread men and more pedal their bikes from Curtis Hixon Park to Bay to Bay Boulevard and back. “We’ll come back and have a giant dance party with DJ Jazzy Jeff and Salt and Pepa. It’s going to be absolutely amazing,” explained Julius Tobin, co-founder of Onbikes. Julius Tobin has a full-time job, but his full-time passion is giving bikes to kids in need in the Tampa Bay community. Tobin’s goal is “getting kids their first bike” and started seven years ago in his garage. He and a friend helped build a few bikes that year and never expected their dream of helping kids in their community would grow to what it has become. TAMPA, Fla. (WFLA) — Hundreds of children will find new bikes under their tree this holiday season thanks to a local biking enthusiast. “It blows my mind. It’s hard to put into words what this organization means to so many people,” said Julius Tobin, who heads up Onbikes. TAMPA — In 2014 when Jenine Morehouse came across a Facebook post for OnBikes, a local nonprofit organization looking for volunteers to help build bikes for kids, she had no idea it would take her on a cross country cycling ride that would change her forever. Onbikes is a Tampa-based non-profit organization that raises money toward the purchase of bicycles and helmets for foster children through their annual Winter Wonder Ride. The mission of Onbikes is to restore the self-confidence, health and overall well-being of at-risk children in the community by providing these children with bicycles.